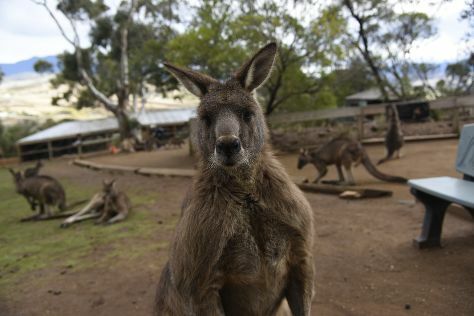 Go for a jaunt from Hobart to Brighton to see Bonorong Wildlife Sanctuary about 30 minutes away. On the 23rd (Sun), give your taste buds a day to remember with a local gastronomic tour. Next up on the itinerary: take your sightseeing to a higher altitude at Mount Wellington, step off the mainland to explore Macquarie Island, appreciate the extensive heritage of Battery Point Sculpture Trail, and contemplate the long history of Cascades Female Factory Historic Site. Ask Inspirock to suggest an itinerary and make planning a trip to Hobart fast, fun, and easy. In December in Hobart, expect temperatures between 24°C during the day and 13°C at night. Wrap up your sightseeing on the 24th (Mon) early enough to travel back home. 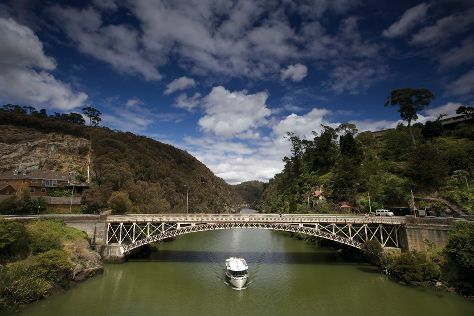 On the 25th (Tue), examine the collection at National Automobile Museum of Tasmania, then identify plant and animal life at Cataract Gorge Reserve, and then admire the verdant scenery at The Tamar Valley. On the 26th (Wed), you'll have a packed day of sightseeing: identify plant and animal life at Platypus House, admire nature's wide array of creatures at Seahorse World, then explore the world behind art at Queen Victoria Museum & Art Gallery, and finally stroll through City Park. To find traveler tips, ratings, maps, and other tourist information, go to the Launceston route planner . Getting from Hobart to Launceston by car takes about 2.5 hours. Other options: take a bus. In December, plan for daily highs up to 25°C, and evening lows to 10°C. 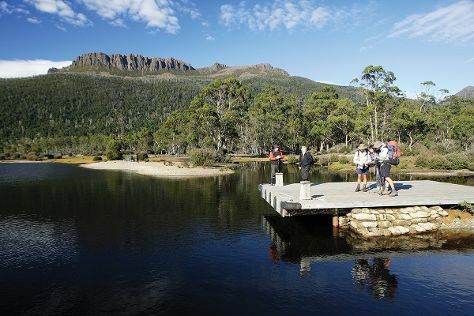 Finish your sightseeing early on the 26th (Wed) so you can drive to Cradle Mountain-Lake St. Clair National Park. On the 27th (Thu), examine the collection at Morrisons Huon Pine Sawmill, then take in the dramatic scenery at Hogarth Falls, and then explore the activities along Lake St. Clair. On the 28th (Fri), you'll have a packed day of sightseeing: explore the fascinating underground world of Gunns Plains Caves, look for all kinds of wild species at Wings Wildlife Park, and then take in the dramatic scenery at Preston Falls. For reviews, ratings, where to stay, and more tourist information, go to the Cradle Mountain-Lake St. Clair National Park travel route planner . Drive from Launceston to Cradle Mountain-Lake St. Clair National Park in 3.5 hours. Alternatively, you can do a combination of bus and taxi; or do a combination of bus and car. On the 29th (Sat), wrap the sightseeing up by early afternoon so you can drive back home.